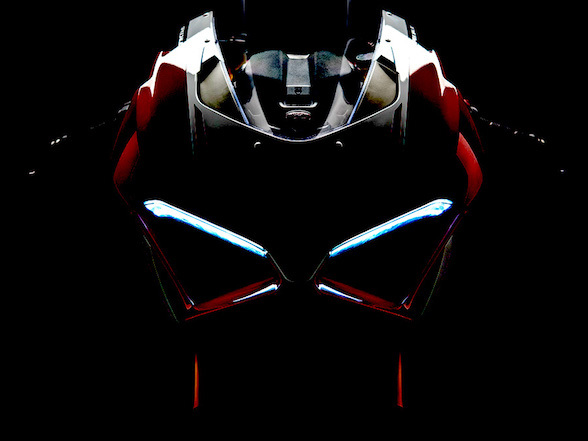 I’ve just got back from the EICMA expo in Milan, and after two days and over 20km of walking amongst the seemingly endless stands of new bikes I’ve just about come to grips with the deluge of models due in 2019. There was a massive array of new metal on display, and I’ll try to get through the major debuts over the course of this week and next but first I’m going to be selfish and concentrate on the models that made the biggest impression on me. I think they’re going to be big news in the South African market, too. 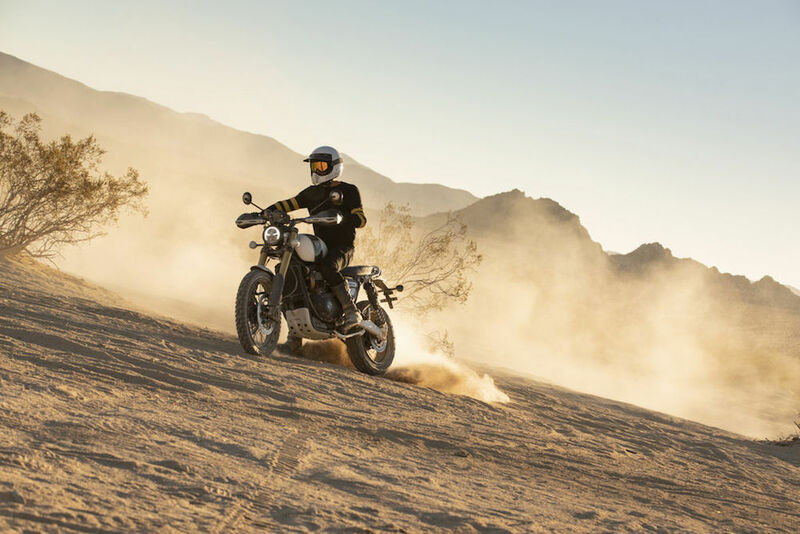 Scramblers have become a thing over the past couple of years, but although they wear their dirt styling with pride they haven’t really been intended for off-road riding. Sure, they can generally handle a gentle gravel road but they’re more of a fashion statement than a serious bundu-bashing tool. That is all about to change with the arrival of Triumph’s Scrambler 1200. 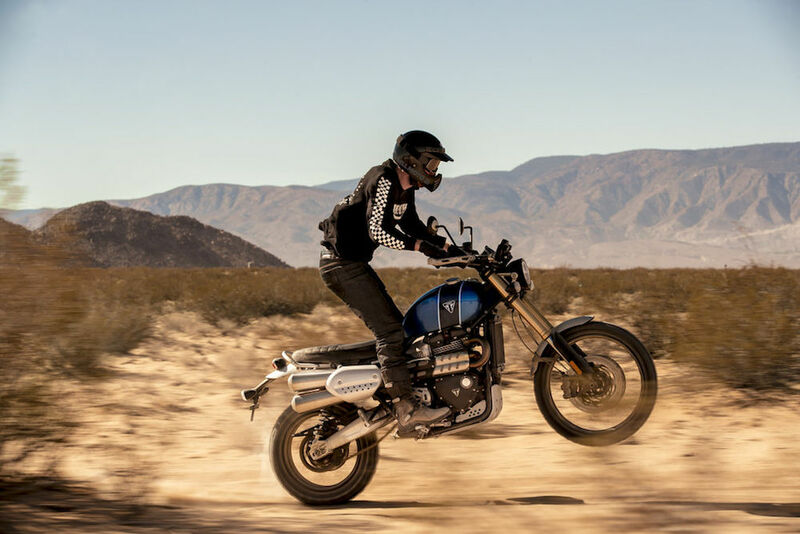 The Brit manufacturer was an early adopter of the retro-styled Scrambler style with its Bonneville Scrambler in 2006, but now it has moved the game on considerably with the 1200. 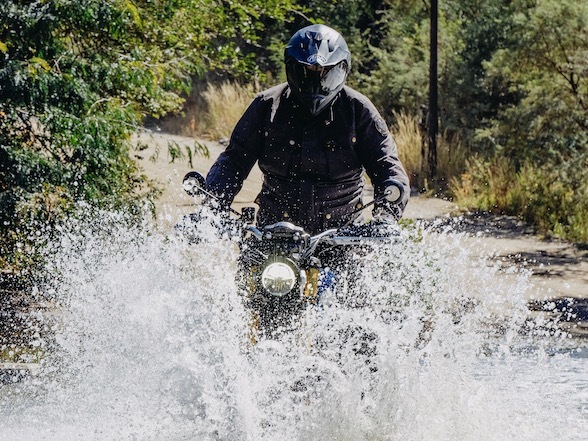 This new model looks every bit as cool as any other Scrambler we’ve seen, but it has been designed to tame the dirt just as effectively as any dedicated adventure bike. 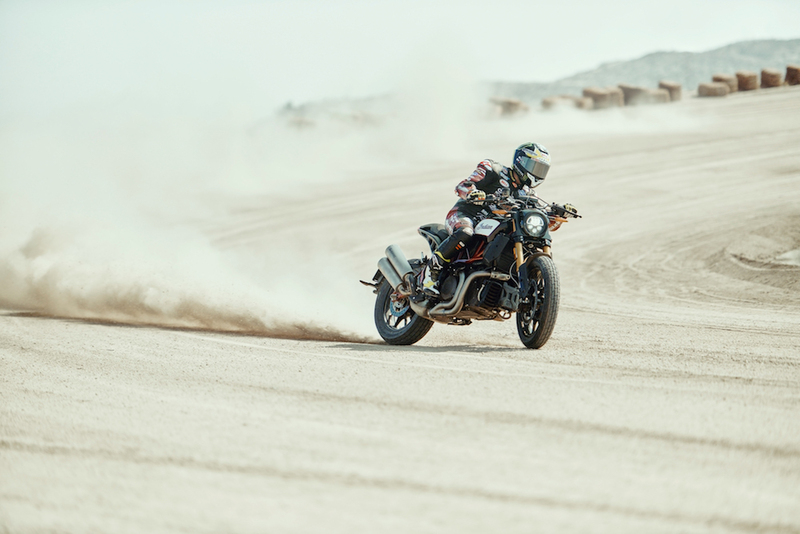 If you think that sounds like a bold claim then be reassured by Triumph’s intention to race it in the legendary Baja 1000 desert race! 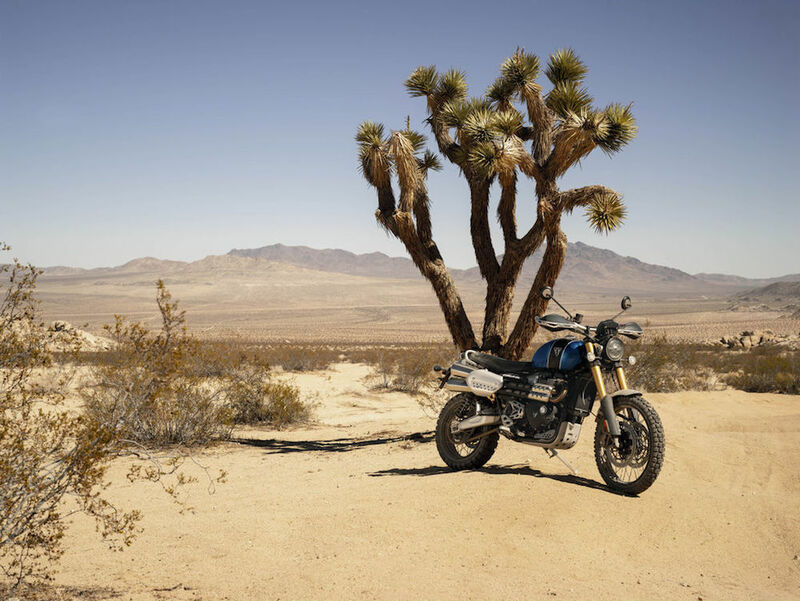 A 21-inch front wheel, long-travel suspension via period appropriate twin rear shocks and Pro-off-road riding modes mean the Scrambler 1200 should be every bit as capable in the dirt as the company’s dedicated adventure models. The bike will appear in two guises, the XC and an even more off-road capable XE version with longer travel suspension and a longer swing-arm to match. 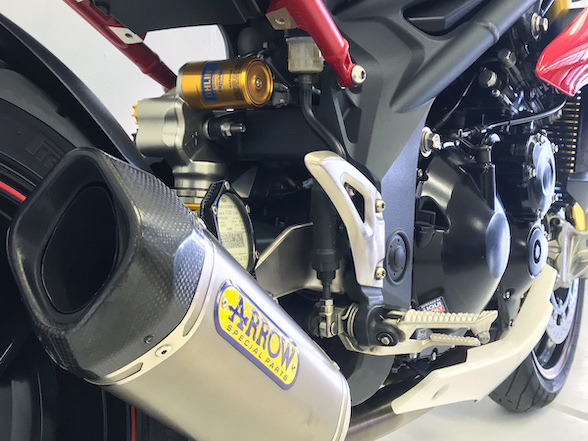 Both will feature a retuned version of the 1200cc parallel twin seen in previous models that will punt out 66Kw and a very useful 110Nm of torque. 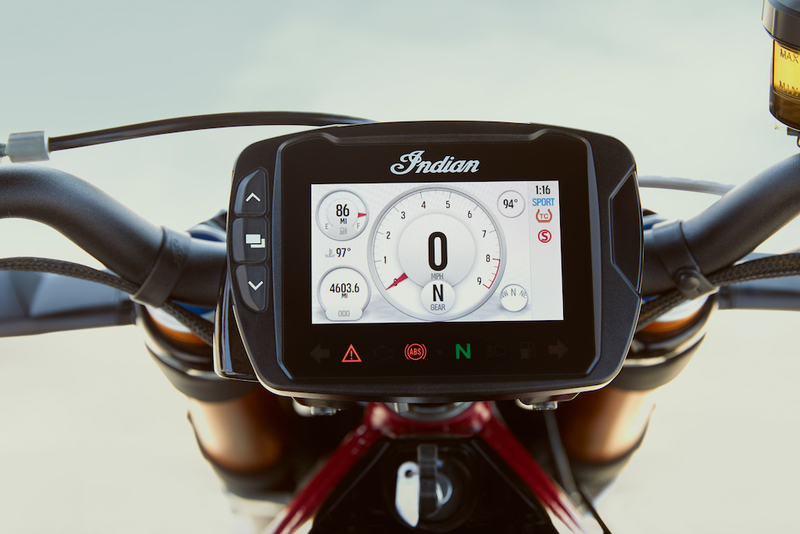 Although retro in style the Scrambler 1200 brings some enticing new technology to the class as well, incorporating new features via its retro-themed dash that is actually totally digital. 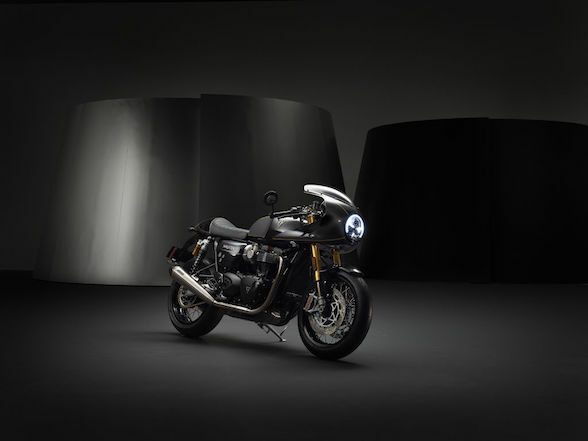 Riders will be able to receive navigation information thanks to a collaboration between Google and Triumph and the same display will also, for the first time on a production bike, allow control of a Go-Pro camera. Phone calls, music and a bike communication system will also be controllable via the instrument cluster. The combination of the latest tech, genuine off-road ability and classic Scrambler looks is sure to be a popular combination in adventure-mad South Africa. 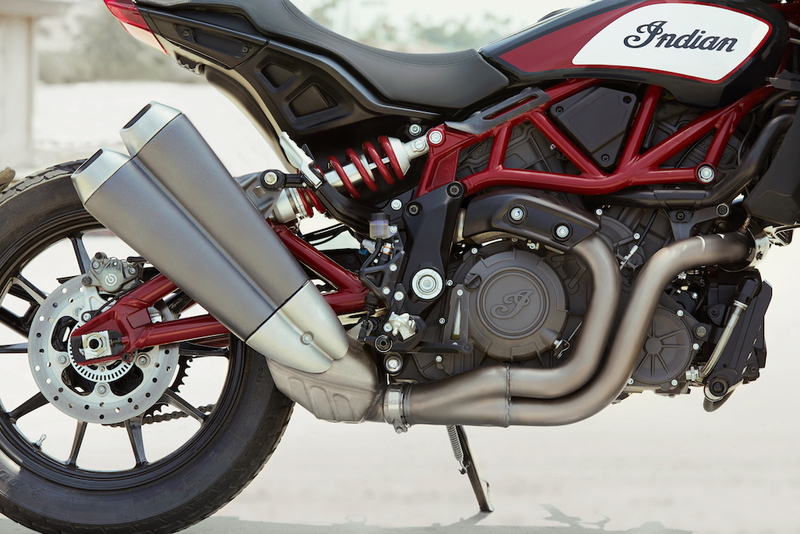 Another bike that straddles the disparate elements of classic styling and modern dynamics is Indian’s FTR 1200. 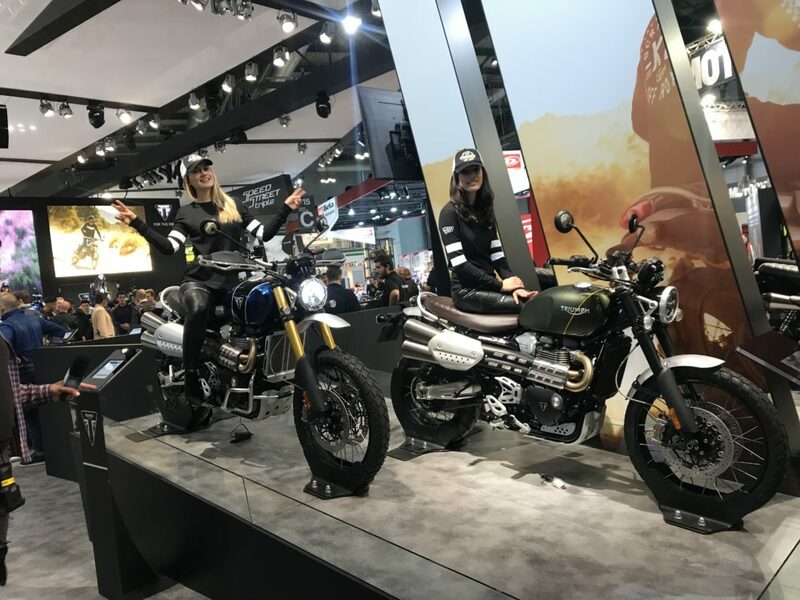 During the official launch of Indian Motorcycles’ latest model the stand was swamped with the world’s media showing just how much hype has been built around this intriguing new bike. When the crowds had eventually wandered off I got to spend some time with the bike – which is actually four bikes in one – and the man who had directed the project from its inception. The project was born when Indian decided to revisit its racing heritage and go Flat Track racing in the AMA championship in the USA. Success didn’t take long to arrive in the form of race wins and championships. 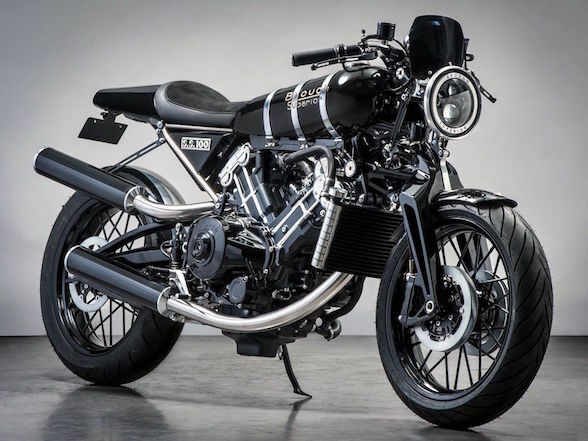 The race bike is a 750cc V-twin, but for the street version Indian decided to go for a 1200cc unit that will deliver an impressive 89Kw and 115Nm. 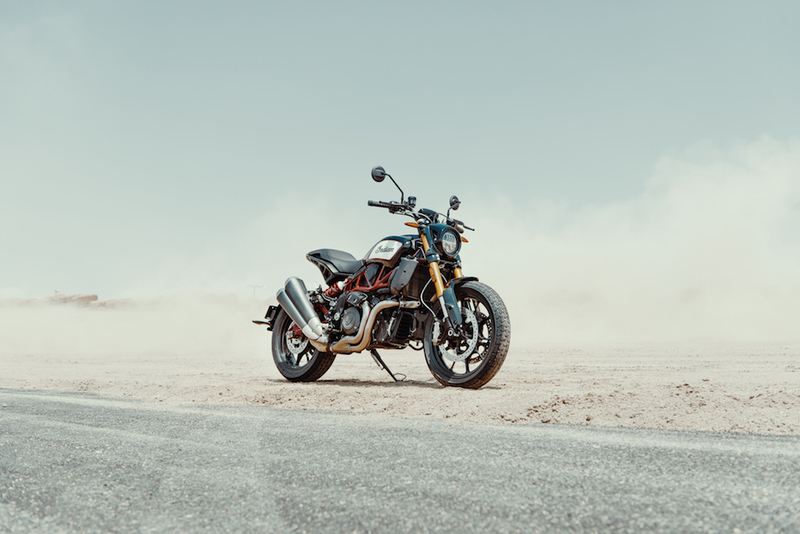 The styling is faithful to the Flat Track DNA although riders will be able to personalise the bike in a much more functional way than has previously been seen before. 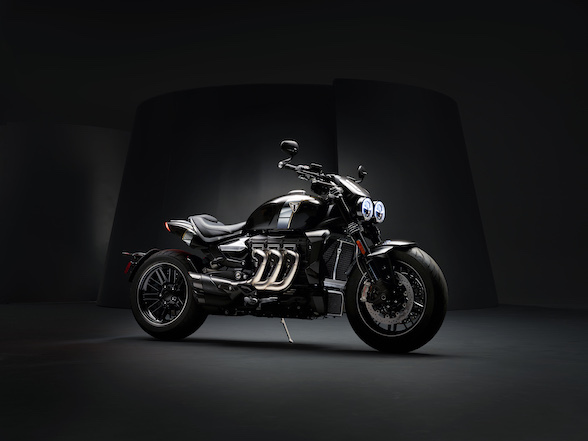 Two models will be available, a base version and then a S model which will add fully adjustable suspension, different riding modes and adjustable traction control and ABS as well as a customisable LCD dash. The big take-away from the EICMA intro for me though was the ability to transform the function of the FTR by raiding the Indian performance parts catalogue and swapping anything from handlebar to tank covers, seats and exhausts. 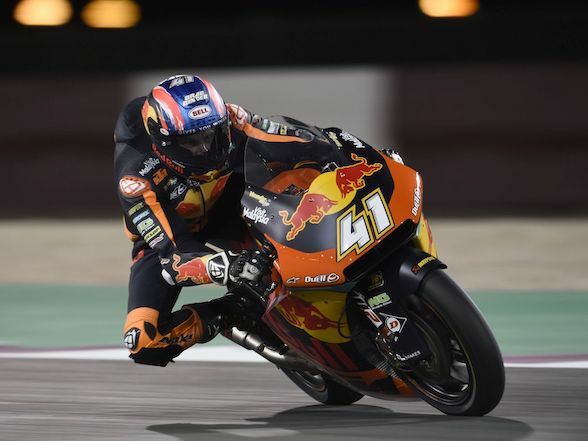 Speccing the bike with these different options can change your bike from a Flat Tracker to a Rally version, or a Touring model or more Sporting model. Each looks different and each should ride that bit differently, too. It’s great idea, and though the options surely won’t be cheap it will still be significantly more affordable than buying four distinct models from scratch. 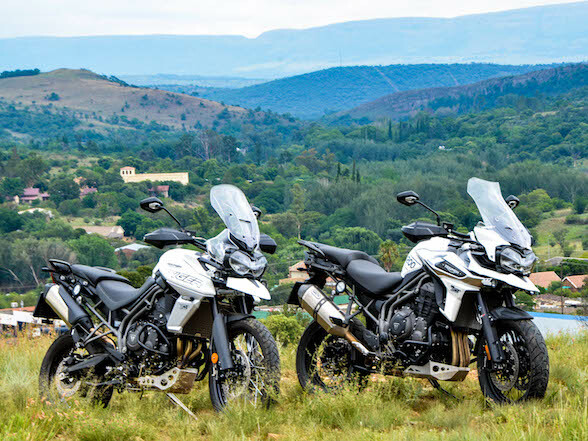 Both the Triumph and Indian will be available in South Africa during the first half of 2019, and both have me excited about riding them. 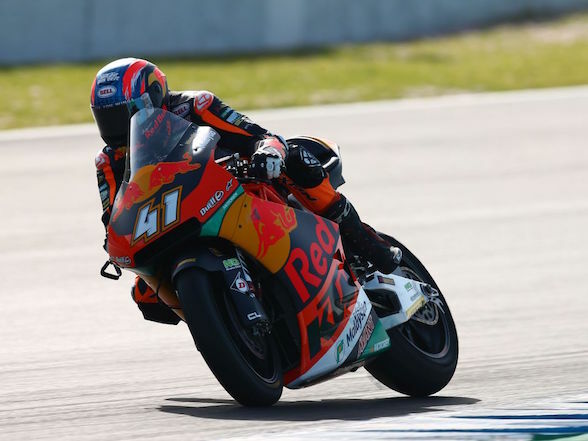 If they go even half as well as they look, then these will be two of the most important bikes to arrive on our shores next year. 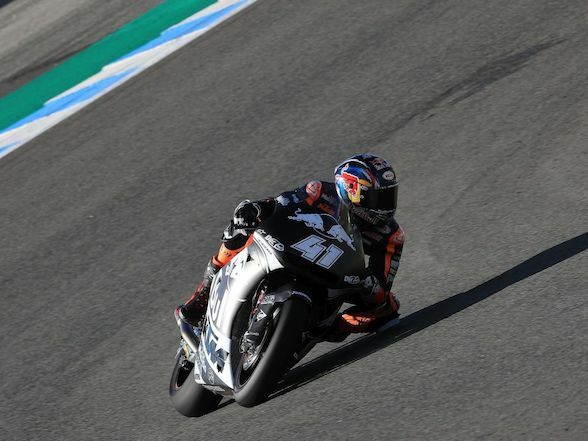 Next Post Binder debuts Triumph Moto2 engine: "I felt very comfortable"